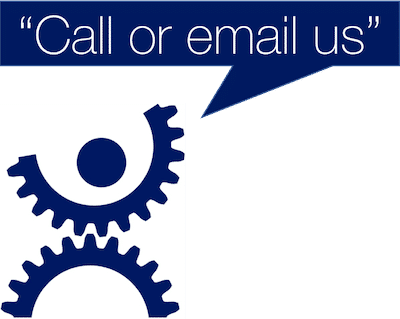 Call us, email us or complete the form opposite to learn how we can help you. When you first speak with us, we’ll have a short conversation and if we agree we can help, we will arrange a mutually convenient time to talk in more detail. Our promise: whatever happens in our conversation, there is absolutely no obligation on you to work with us any further (but we obviously hope you want to). Customer expectations have changed for ever. Manufacturers must change too or risk extinction. Rapid growth in global air traffic is driving exponential growth in the aerospace aftermarket. Prospects for manufacturers and MRO providers look excellent. But the aerospace aftermarket is fragmenting and becoming more complex. With airlines competing on price and more new airports in lower cost economies, today’s aerospace leaders face a challenge to stay on top. In the servitised economy, airlines want guaranteed outcomes, capability and service performance, when and where in the world they want it, without the burden of aircraft ownership such as capital expenditure, maintenance, downtime or obsolescence risks. How well do you understand your customer’s needs? Is your business model performance-based? Are your MRO capabilities up to the challenge or are you at risk of extinction? Aftermarket / MRO capability is the new battleground for aerospace manufacturers. You can’t run an aftermarket business with systems, processes and organisations that were designed and built for the last century. Product manufacturing businesses were never designed for aftermarket complexity, long-term relationship management or servitised business models. The aerospace aftermarket has thousands of slow moving parts; multi-decade life-cycles; global service networks; high-value rotable repair loops, unpredictable demand profiles, inventory obsolescence risks and complex performance-based contracts, etc. In this environment, satisfying aerospace aftermarket customers who demand lower costs, 100% equipment uptime, localised service and a branded service experience is challenging. It requires rethinking, reconfiguration and reintegration of business processes, systems, people and service partners across your global, end to end, aftermarket support chain. Winning in the servitisation economy requires investment in your aftermarket capability. At Servispart Consulting, our aerospace consultants are pioneering the science of aftermarket excellence and servitisation in the aerospace industry. Over the last three decades, our specialists have worked with a wide variety of aerospace equipment and parts manufacturers, including some of the major primes. Our experience also spans multiple manufacturing and support sub-sectors of the aerospace industry including fixed wing aircraft, rotary wing helicopters, aircraft engines, avionics, unmanned aerial drones and specialist airborne military equipment. What if you could leverage our aerospace aftermarket expertise and experience? How might you, your staff, customers and shareholders benefit from us working together? What could we deliver together that your competitors can’t? Want to learn how we can help you specifically? Want to learn how we helped these clients? Want to grow your aftermarket? Your competitors are! Get this ebook to learn how. Want to maximise profits, competitiveness and customer retention? Rethink manufacturing! Considering engaging aftermarket consultants? How to pick the best and forget the rest! Copyright © 2006-2019 Servispart Limited. All Rights Reserved.